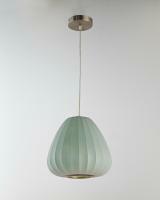 The lovely shape of the globe of this pendant light will make a nice impact on the space where it is hung. 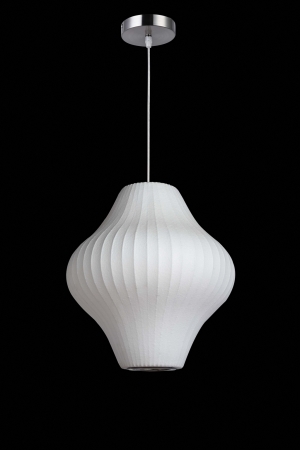 The resin material has a white tone that has a nice affect on the lighting that comes from within. The mounting hardware has a bright chrome finish that complements the color of the globe.